The School is named after General James Edward Oglethorpe (1696-1785), an English soldier and philanthropist who entered Parliament in 1722. In 1733 he founded the American State of Georgia. He was Governor for thirteen years. In 1744 he married Elizabeth Wright of Cranham Hall, Cranham, and came to live at the hall. He lived in Cranham for thirty years. 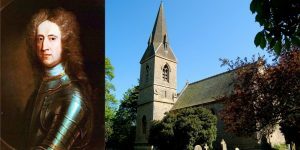 He is buried in All Saints’ Church, Cranham. The book represents learning and teaching – the school’s ‘raison d’etre’. The helmet is that of the esquire (Sir James Edward Oglethorpe) surmounted by the boar’s head from Oglethorpe’s own family coat of arms. 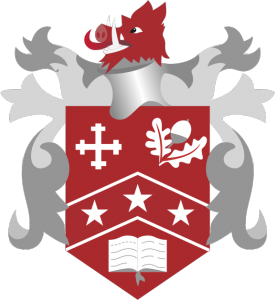 The motto (loosely ‘He knows not how to submit’) is Oglethorpe’s own family motto. The colours are red and blue on silver.